Formula One tyre supplier Pirelli introduced a new version of its slick tyres for the Spanish Grand Prix after Mercedes struggled with overheating during winter testing. Ferrari's Sebastian Vettel indicated after the first running that the new tyres are much different and do not improve the previous tyre characteristics. Pirelli found in pre-season testing that the new asphalt at Spain’s Circuit de Barcelona-Catalunya produced more grip and less tyre wear, which means more rubber stayed on the tyre which in turn can lead to surface overheating. The problem affected the Mercedes team the most while other teams like Ferrari could very well cope with the new 2018 tyres. The Anglo-German squad, then, recommended to Pirelli that the tread depth should be reduced which could cure their problems. Even if most teams were opposed to the change, Pirelli and Mercedes pushed through the change on safety ground. The tread depth got reduced by 0.4 millimetres which should eliminate the overheating issues. As Great Britain’s Silverstone and France’s Paul Ricard tracks feature similar asphalt like Barcelona, Pirelli will supply the modified tyres to those two other venues as well. Pirelli motorsport chief Mario Isola said before the free practice sessions for the Spanish GP that the changes should not make any big difference to the performance and the pecking order. "We tested the solution last year, and in terms of performance or other consequences, they are almost transparent. However, drivers were not fully delighted with the modified tyres. Sebastian Vettel revealed the change did not lead to any improvement and the scale of the change is significant. “I think the biggest change that has been made is on the tires, which seem to be quite different. I don’t think they are better than before,” Vettel commented the tyre situation. 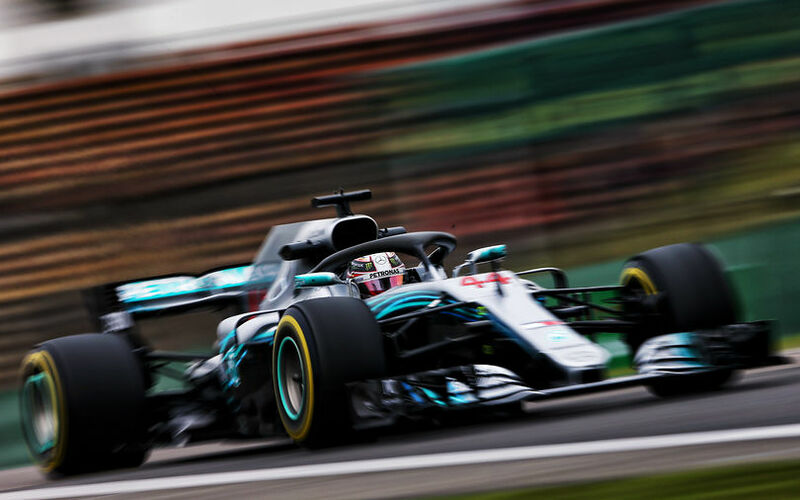 Championship leader Lewis Hamilton also complained about sliding despite to the change being introduced as a reaction to Mercedes’ overheating woes during testing. "I think the race is going to be interesting, just with the tyres," he said. "We've got much different tyres this weekend, given that there's less rubber on them, so they're feeling just different, sliding a lot more," said the Briton.